Doubleroom with shower/WC, radio, Sat-TV, minibar, safe, phone. 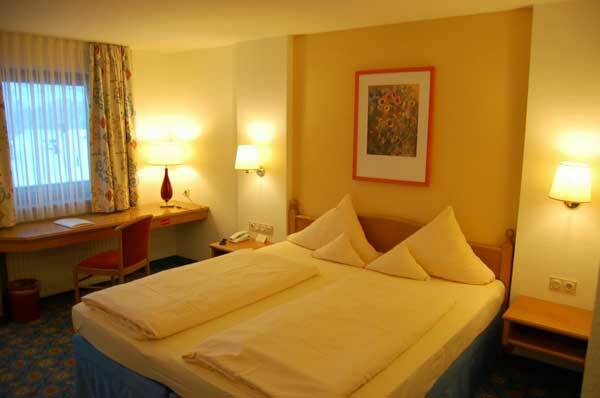 (babybed free of charge) Doubleroom with shower/WC, radio, Sat-TV, minibar, safe, phone and balcony. Extrabed possible. Singleroom with shower/WC, radio, Sat-TV, minibar, safe, phone and balcony. Doubleroom with shower/WC, radio, Sat-TV, minibar, safe, phone and balcony. Extrabed possible. Singleroom with shower/WC, radio, Sat-TV, minibar, safe, phone and balcony. Doubleroom with shower/WC, radio, Sat-TV, minibar, safe and phone. Extrabed possible. Singleroom with shower/WC, radio, Sat-TV, minibar, safe, phone and balcony. Doubleroom with shower/WC, radio, Sat-TV, minibar, safe and phone. Extrabed possible. 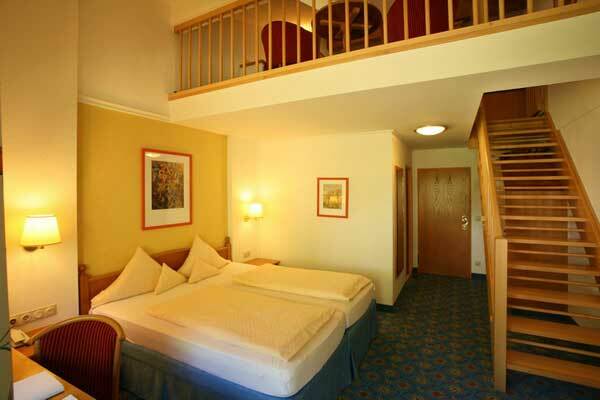 Doppelzimmer mit Dusche/WC, Radio, Sat-TV, Minibar, Safe, Telefon, Terrasse oder Balkon. Berg- oder talseitig. 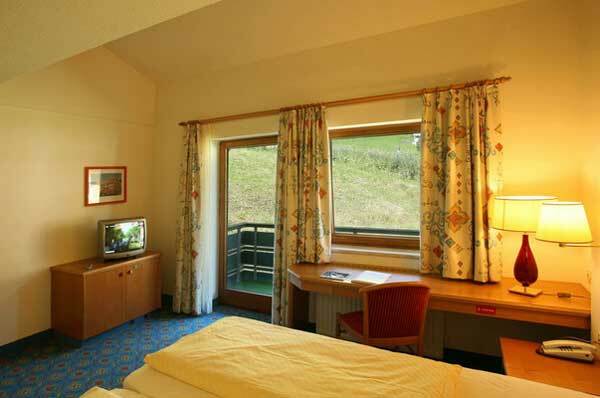 Doppelzimmer mit Dusche/WC, Radio, Sat-TV, Minibar, Safe, Telefon, Terrasse oder Balkon. Berg- oder talseitig. Familienzimmer mit Doppelbett (Eltern) Doppel-Schlafcouch (Kinder) mit Dusche/WC, Radio, Sat-TV, Minibar, Safe, Telefon, Terrasse oder Balkon. Talseite oder Bergseite. Belegung mit 3 Erwachsene möglich, bei 3 Erw. + 1 Kind bis 12 J. Preiszuschlag Euro 18.- pro Nacht!! 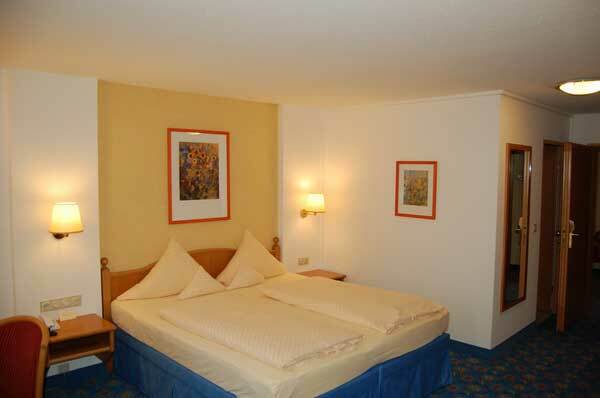 Leistung [...] Doppelzimmer mit Dusche/WC, Radio, Sat-TV, Minibar, Safe, Telefon und Balkon. Berg- und talseitig, Zustellbett- oder Kinderbett möglich.